2.75" Ballet Insert Medals. 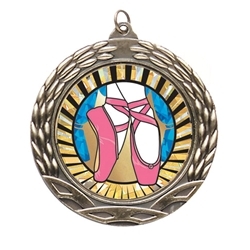 These ballet medals come attached to a 30" ribbon in your choice of color. Available in gold, silver, or bronze finishes.